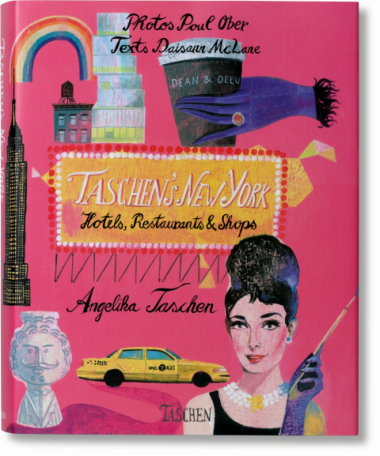 Angelika Taschen knows New York. She’s been behind the velvet ropes, explored the secret, unmarked restaurants and beloved neighborhood delis, scoured Soho, Nolita and Tribeca’s stylish stores, and scoped out hotels uptown and downtown, from sleek and chic to hidden charms. She provides an all-access pass to parts of New York even most locals don’t know. Dictionary-style cutout tabs make it easy to flip through, and a pocket-sized map of Manhattan lists all the shops, hotels, and restaurants in the book. 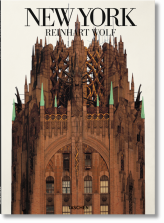 With this guide in hand, New York is yours for the taking. 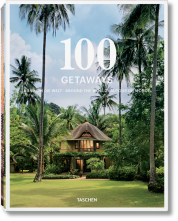 Featuringthe Maritime Hotel, a former sailors’ dorm, now Chelsea’s coolest hotel; Robert De Niro’s Greenwich Hotel, with its authentic Japanese spa; the cheap but chic Pod Hotel. Learn how to get the best table at the Waverly Inn, Vanity Fair editor Graydon Carter’s exclusive salon for the glitterati; how to find Soho’s hidden basement bar subMercer; the Shake Shack, for a terrific burger in the shade of Madison Square Park; Rao’s, the Spanish Harlem Italian joint run by the Sopranos’ actor who turned Madonna away; where to buy New York’s best cheesecake; and Greenwich Letterpress, for hand-printed cards to send to envious friends who didn’t make this fabulous New York trip! 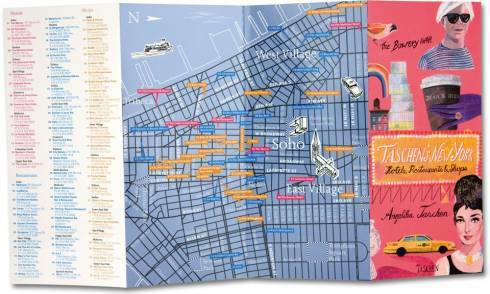 "Get it booked - Shop, sleep and eat like a native New Yorker with TASCHEN's big city bible." "These beautifully designed travel tomes from luxury publishing house TASCHEN are not your typical pocketbook guides to pack and carry around…but are chic coffee-table books for discerning and sophisticated travellers…the guides feature a mix of quirky illustrations and stylish photographs, and are packed with insider tips and precious advice that will make you shop, eat and sleep like a native New Yorker or Londoner. 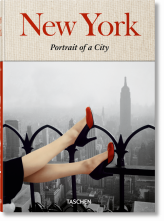 So whether it’s a shopping spree in the City of Lights you desire, or a night on Broadway in the Big Apple, these creative gems will take you on a magical journey in the comfort of your living room and provide plenty of inspiration before you embark on your next glamorous jaunt to one of these capitals of cool." "Run over to the luxe TASCHEN store to pick up the exclusive new TASCHEN's New York...Angelika Taschen, connoisseur of global cool, finally releases her collection of best hotels, restaurants, and shopping Big Apple-style... all in one sophisticated, yet whimsical coffee-table book...Travel guides to the Big Apple? Totally overdone. A TASCHEN guide to New York? Raises the bar!"